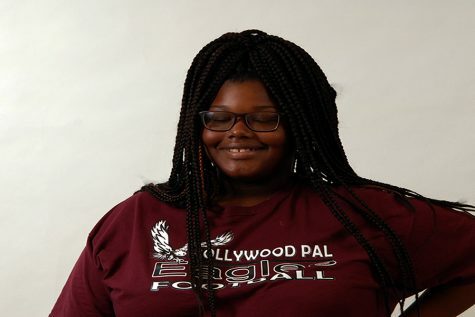 Meet Ryazia Allen, a freshman at South Broward High School. She signed up for this class to get out more and write. She feels that her greatest strength academically is reading, on the other hand, her greatest weakness is math. She reads many types of media but articles on Snapchat are mainly what she reads. Three people she would like to meet, alive or dead, is her grandfather's mother, Rosa Parks, and Martin Luther King. She loves all types of music because she likes to try different things, also some activities she does when she’s not at school is helping her mom or, practicing for color guard. A person she aspires to be and admires is her mother because she’s a single mother and works very hard for her.